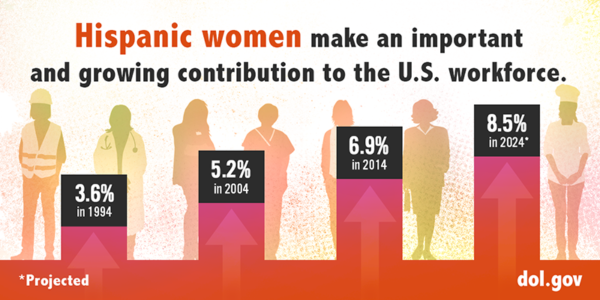 Latinas are one of the fastest growing groups of women in the U.S. labor force. According to the United States Department of Labor, Latinas make up 7.2 percent of the total U.S. workforce and are expected to make up 8.5 percent of the workforce by 2024. Additionally, college graduation rates for Latinas have increased faster than that of any other group of women. Latinas in the U.S. possess a number of abilities that translate into important business skills in this global economy. One such skill is the ability to navigate between cultures. “Biculturalism” allows Latinas to serve as “connecting points” to other countries as well as with the large and the growing Latino market. Another key ability is bilingualism. Spanish is one of the most commonly spoken languages in the world. For Latinas in the U.S. who speak Spanish and English fluently, their bilingualism gives them an edge over other candidates. Additionally, Latinas value community. Helping and supporting others is imbedded in their culture. Given that biculturalism, bilingualism and people skills are key assets for corporations doing business in the U.S. and abroad, Latinas are uniquely positioned for leadership in Corporate America. Yet, while Latinas are a valuable talent pool for U.S. employers in a global economy, they represent less than 1% of executives in the United States. Reality #1: Latinas face judgement from family if they put their careers ahead of family. Almost 70 percent of working Latinas surveyed in a recent study by People en Español feel pressured by cultural expectations rooted in their heritage to get married and start a family within a certain time period in their lives. 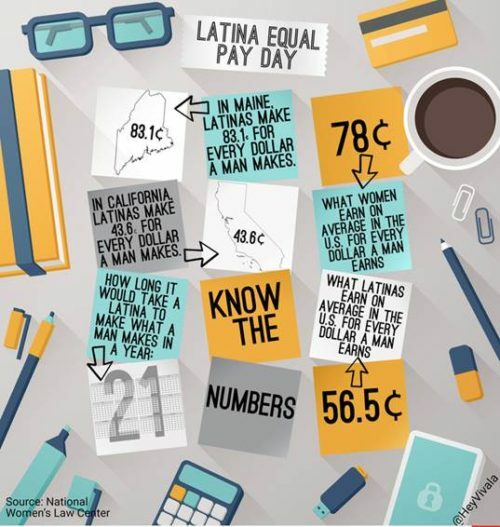 Reality #2: Latina employees are paid less than every other race or gender in the United States. A study published by the National Women’s Law Center (NWLC) shows that the gender wage gap for Latinas is more than $ 1 million over their lifetimes. One contributing factor is that Latinas are overrepresented in low-wage jobs and are often financially penalized for their caregiving roles. Earning advanced degrees does little to close the wage gap. In fact, as Hispanic women increase their educational attainment, their pay gap with white men actually increases. White non-Hispanic men with only a college degree are paid, on average, $7.53 more than Latinas with an advanced degree! Reality #4: Latinas believe they must sacrifice their culture and identity in order to succeed in Corporate America. A recent study by the Center for Talent Innovation found that 53% of Latinas say that executive presence at their company is defined as conforming to traditionally white male standards. The study also found that Latinos in general who put the energy into repressing aspects of their personas at work, including their cultural identity, are more likely to advance in their careers. Reality #5: Despite the challenges they face, Latinas are optimistic about their futures and their careers. According to the People in Español study, today’s Latinas “are not conforming to cultural customs and gender roles as strictly as they once did, and they look to their Latino heritage to enhance their lives.” Fortune Magazine’s release of the 50 Most Powerful Latinas in Business is clear evidence that Latinas are breaking barriers. At the top of the 50 Most Powerful Latinas in Business list is Geisha Williams, President & CEO of PE&G, the first Latina to lead a Fortune 500 company. 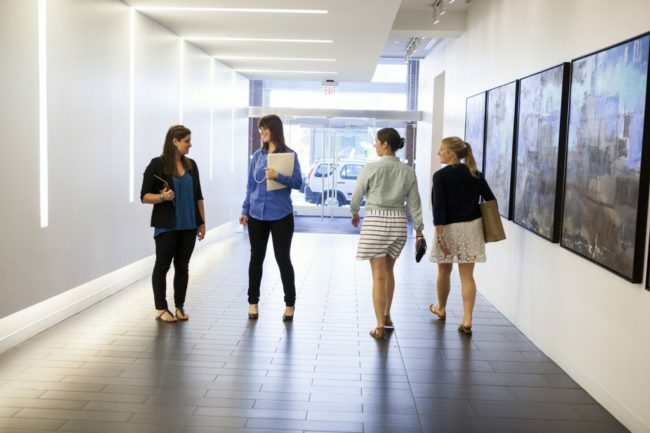 Williams is joined by another 15 Latina corporate executives. These women are shattering glass ceilings, opening doors and serving as role models for the next generation of Latina leaders.